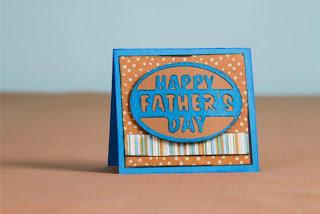 Okieladybug's Scrap N' More: Father's Day - Card, Box and Cake! Using paper cutter, cut blue cardstock into a 6” x 10” rectangle then fold in half. Using dimensional tape, adhere to card. 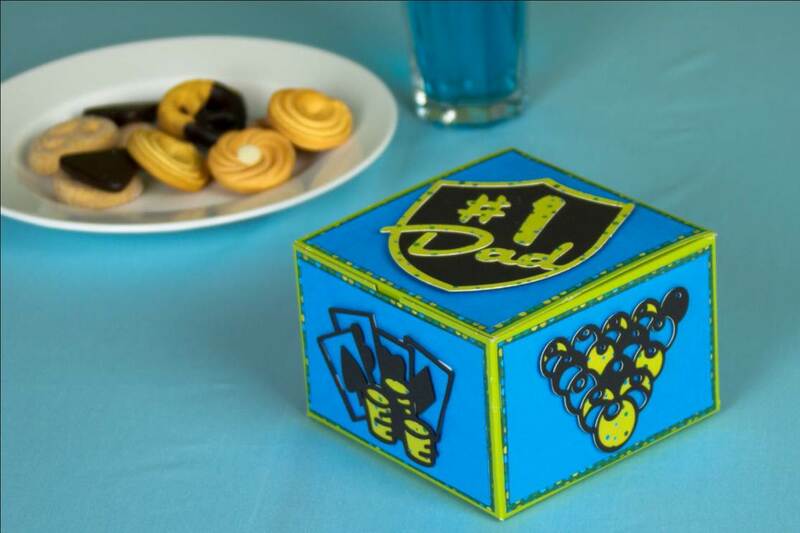 Using Cricut®, Cricut® Father’s Day cartridge and black cardstock, cut 3” Poker, Can, Money and Pool Balls. Cut 5” Background2. Cut all images from gum paste, using pictures for color references. Remove excess gum paste from cutting mats and images. Save brown stars from borders. Let gum paste dry so that the cuts can be removed from the mat without being distorted. 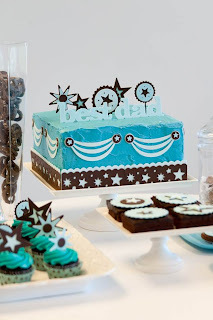 Layer borders, banners, and stars together as shown using sugar glue. Layer borders and banners to cake as shown. Layer best dad phrases together. Stand phrase on top of the cake as shown. Paint toothpicks with food gel. Let dry. Attach toothpicks to backs of stars. Place on top of cake as shown. To decorate cupcakes, brownies, or cookies, cut similar icons at desired sizes. Layer together and place on top of the goodies as shown.